Various Artists. 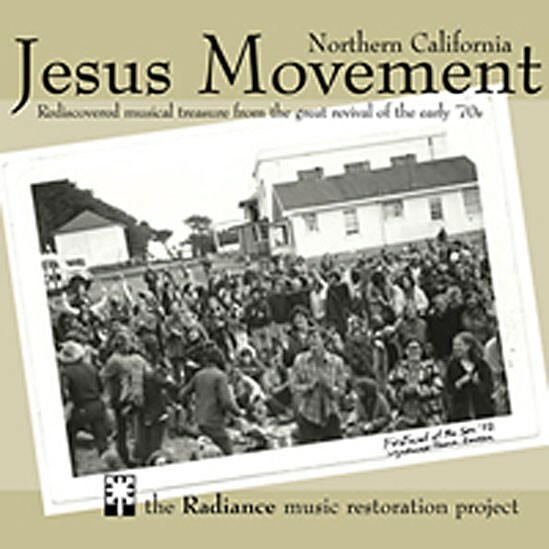 Radiance Music Restoration Project. The pop music machine thrives on timeliness, which is a shame. With the glut of new records that comes out every week, by the time the wheat has been separated from the chaff it's far too late in blog-years to start a conversation. Still, some older albums demand ink, and the series of albums released by Paul Johnson's Radiance Music Restoration Project serves to restore an important local musical legacy that has been, effectively, lost for decades. Johnson spent a significant period involved in the Gospel Outreach movement, which longtime Humboldt residents will remember as a Jesus Freak commune that included Lighthouse Ranch at Table Bluff and Deliverance Temple in Eureka. Many members of the flock were musicians, and they produced hours of homemade recordings that had never seen wider release until Johnson stepped up several years ago. The difference between today's Christian pop and this music, however, is that the Radiance recordings were not made within the purview of a "music industry" -- they're off the grid, pop-culturally. There's no trace of marketing, no writing coded lyrics for "seekers," not even reformist criticisms of the Christian establishment -- just tunes about God, mostly retooled gospel hymns or original songs inspired by the Bible. Some are clear-eyed and simple, like Simmon's "Jesus Rose Up from the Dead," a straight-ahead folk tune about "exactly what the Bible said," and some, like Karl Richey's "The Stone Which the Builders Refused" are Dylanesque streams of Bible-study consciousness. These are songs about Jesus for a group of people who loved Him, and music, and each other. Little else seems to matter. Unfortunately, some of the songs are presented in abridged medleys; Johnson writes in his wonderfully detailed liner notes that this is in order to "maximize content," but it makes portions of the compilation sound like advertisements, selling the songs short. Still, from the glimpses we get here, it's clear that the full-length Radiance records by the wild-eyed Simmon, So Glad to Be Back Home, and the psychedelic/angelic Layne Fish, Lullaybe, would be rewarding listens. Johnson is to be commended for preserving a significant piece of the musical and spiritual history of Northern California.